I had promised you a blog post a long while ago Salman. Here I am keeping my promise. ‘Dabangg’ has just released. And so has the controversy over your 26/11 remarks. 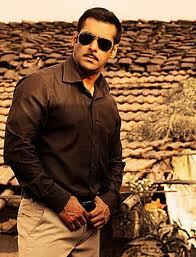 The mass hysteria “Dabangg” has generated is unprecedented. We all know this craze is only & solely for you. The movie is yours all the way.The director is new, the heroine too. No one cares for Arbaaz anymore & Malaika has hardly aroused anyone since her Chaiya Chaiya days (though she refuses to believe this). But you… you are a phenomenon. You know that. When you come on screen, it’s like a 440volt current that sends the audience into a mad frenzy. Whistles, hisses, howls, cheers & claps resound throughout the theatre. We watched it first day first show, only for you, for your inimitable style. You are truly one of a kind & that’s what draws people in hordes to the booking counter. The title song & that unique move of the hip & the twist of the belt, the hearts on your glares (hey, by the way, everyone is sporting a Ray Ban in the movie & to think that it is set in Laalgunj, U.P), the way you mouth your dialogues, the way you walk, the crisp shirts on your lean body … yah baby that’s what we go to watch on the 70 mm screen when it’s a Salman movie. Gripping story, tight screenplay, coherent plot, nerve-racking climax …well, those can wait. Let our eyeballs feast on you first. What say? We know, & you know it too, that you are not much of an actor. Nobody could have put it better than you, when you said in an interview, “I don’t act. I just play myself in every movie”. Your filmography is a revelation.Interestingly, for all your machismo, there hasn’t been a single kiss on screen, or a bedroom number, or even a “too close for comfort” hugging scene in any of your movies. You’ve always maintained an arm’s length from your heroines on screen (& perhaps grabbed them full on - off it!) & never indulged in any form of titillation. Your friend Aamir has smooched a couple of them already, especially both the Kapoor sisters! Had you wanted, you could have easily been the ‘original serial kisser’ of the industry & taught Emraan a lesson or two. Would the starlets have complained? I think not. But the thing is, you chose not to walk that path; kudos to you for that. With “Being Human”, you have surely atoned for all your sins, right here, right now. Even before this organization, the instances where you have stood up for & supported & helped another life are far too many. Garib ke dil se, jo dua nikalti hai, woh seedha bhagwan ke dil ko choothi hai. I am sure you are one of the few celebrities, who finds himself in the prayers of many, who were touched by the acts of your kindness. The janta loves you, warts & all. It’s the way you make us feel.